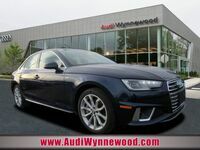 If you are looking for style and luxury in a sleek sedan package, look no further than the Audi A4. The 2018 Audi A4 features an S line® appearance, including bumpers, side sill blades, fender badges, and stainless steel door sills. Striking LED headlights are available to light up the road ahead, and a horizontal Singleframe® grille commands attention. The A4 has a standard engine that reaches up to 190 horsepower and reaches a zero to 60 time of 5.7 seconds. Inside the A4, luxurious materials keep all passengers comfortable and relaxed while on the road. An available power sunroof keeps the cabin feeling open and spacious, while an available ambient LED interior lighting package adds another level of luxury. 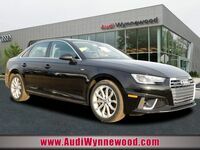 The Audi A4 has an available Sport plus package that includes dynamic steering, sport suspension, front sport seats, a black cloth headliner and more to appeal to the performance enthusiast in you. The Audi A4 is loaded with technology features that make passengers comfortable and keep you connected on the road. The cockpit is a hub of information that includes a 12.3-inch digital instrument display with customizable information such as audio and navigation. Check out these available technology features on the A4! 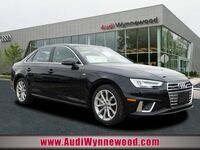 The 2018 Audi A4 is available now at Audi Wynnewood. Browse our inventory and set up a test drive online today! 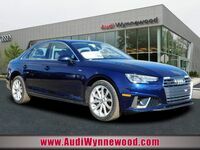 Interested in a Audi A4?